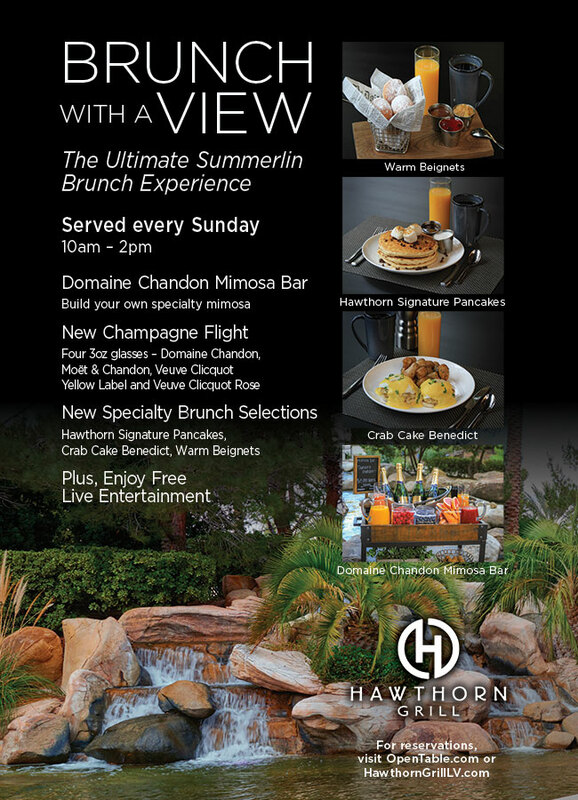 Join us for Sunday Brunch with live entertainment at Hawthorn Grill in Summerlin Las Vegas. 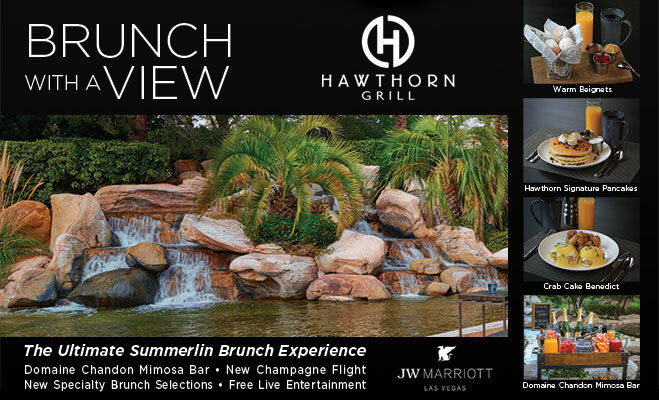 Enjoy our Signature JW Marriott breakfast buffet while listening to live music. Special brunch buffet pricing is $29.99 plus tax for adults, $14.99 plus tax for children 5 to 12 years old, and free for children under 5. Brunch hours are 10:00 a.m. to 2:00 p.m. and reservations are recommended.